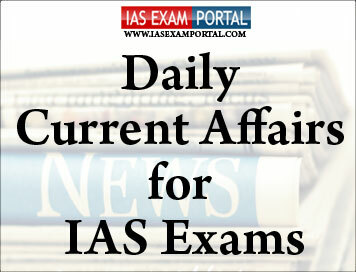 Current Affairs for IAS Exams - 6 DECEMBER 2018 | IAS EXAM PORTAL - India's Largest Community for UPSC Exam Aspirants. Mr.Sai, who is leading a delegation of the Commission to the islands, told that the lifting of the regime proved problematic and the decision had “many pros and cons that needed to be re-looked”. Mr.Sai said there might have been some carelessness in tracking the movements of Chau. “We have spoken to senior members of the administration, including Lt. Governor of Andaman and Nicobar Islands Admiral (retired) D.K. Joshi,” he said. “Our visits to the Nicobar islands have revealed that there has been much conversion activity by Christian missionaries, and our view is that further contact with tribal groups that have various degrees of exposure to other societies should be on their own terms, and nothing should be forced upon them,” he said. Highlighting several steps that were taken by the central bank, Mr.Acharya said the measures had collectively eased the funding stress in a steady manner in the past two months. The Agreement provides a legal framework for sharing of information and intelligence between the Customs authorities of the two countries and will help in the proper application of Customs laws, prevention and investigation of Customs offences.